When small-scale manufacturing is stitched into the fabric of a community, it enlivens community spaces and makes the economy more resilient by diversifying the market and providing higher wage jobs. Small-scale manufacturing can be a powerful tool for revitalization, and this free technical assistance opportunity, opening on June 5th and made possible by the U.S. Economic Development Administration (EDA), is designed to help six communities jumpstart local efforts to bring small-scale manufacturing into target locations to create vibrant, inclusive places. 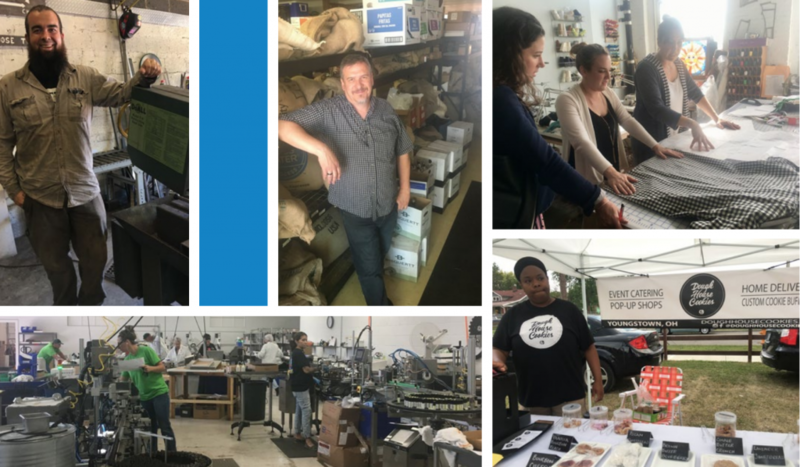 We’re partnering once again with Recast City on this assistance, who will bring national best practices to each site to unearth the hidden community gems in small-scale manufacturing, expand local business ownership, and promote neighborhood reinvestment. Small-scale manufacturing presents a real opportunity to grow local entrepreneurship and small businesses, and develop and enhance new and existing economic sectors. But it can also play a powerful part in revitalizing downtowns and business districts, helping to make great places. Small-scale manufacturers can encompass everything from breweries, furniture makers, textiles, and local food production; they can also include consumer product design, prototyping, and 3D printing. Stay tuned for the full announcement next week and news about an informational webinar happening in a couple of weeks. Catch up by reading “Made In Place” and this featured story about Lowell, MA, a former mill town that was once the epicenter of the textile industry, and how leaders there transformed its mothballed factories and textile mills into production and shared-use spaces. Want to be notified when the assistance opens? Sign up for our email list today.